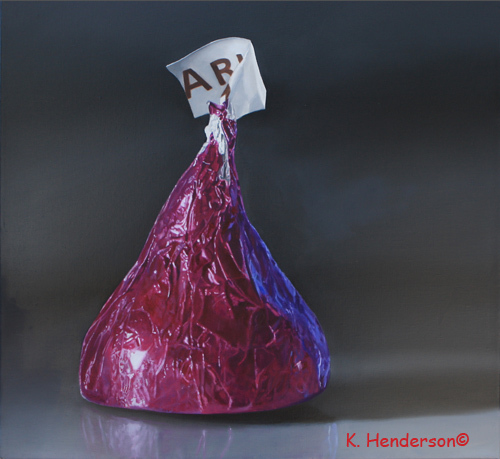 I’ve painting chocolate kisses several times. I’m not sure why because the colorful foil is one of the most challenging things I’ve ever painted. But I’m pleased with the way this turned out. 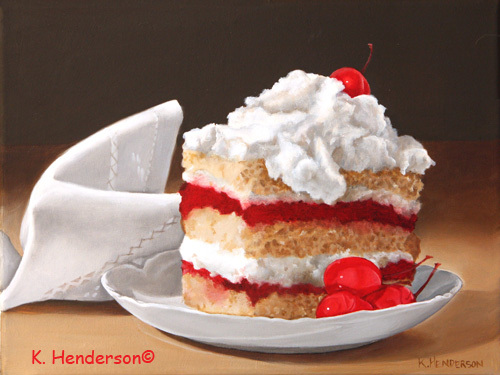 Strawberry Delight , oil on masonite, 11″ x 14″. Yes, I love my vintage toys. 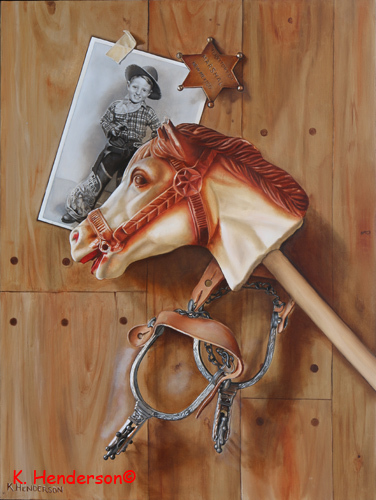 This painting features a Stick Horse , Marshall’s Badge and Spurs. The photo of the cowboy is a friend and formal gallery owner, Thom. This little guy is one of my favorite vintage ceramic figures . He’s a little warrior with a tomahawk. ‘Ride ‘em Cowboys’18″ x 24″, oil on canvas. 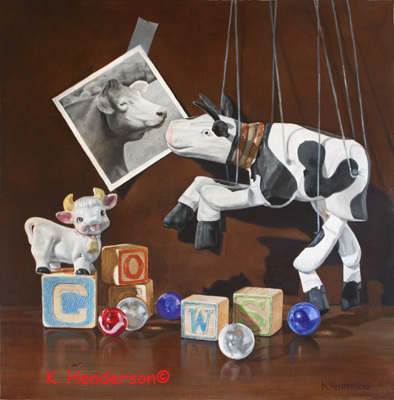 This is a painting painting in my Western Still life series which features vintage western figures. 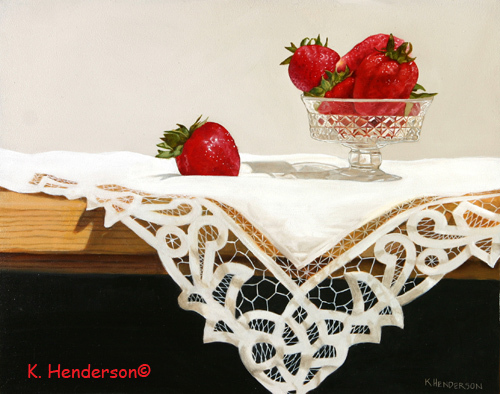 The background is a silk scarf with a cowboy and horse. Yee Haw! 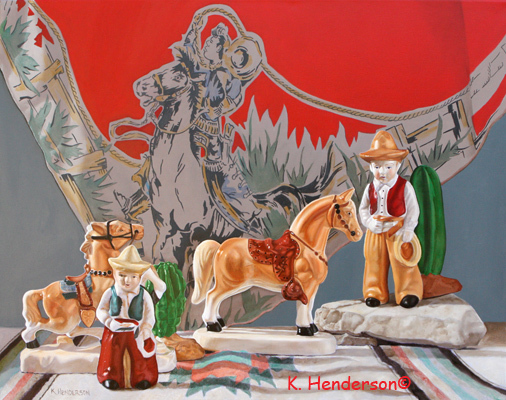 The figurines are two ceramic cowboys, their horses and cactus on a American Indian motif rug. 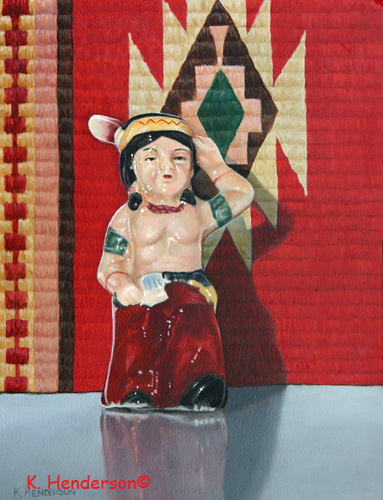 I have a nice collection of Cowboy and Indian figurines and I just can’t paint them fast enough. 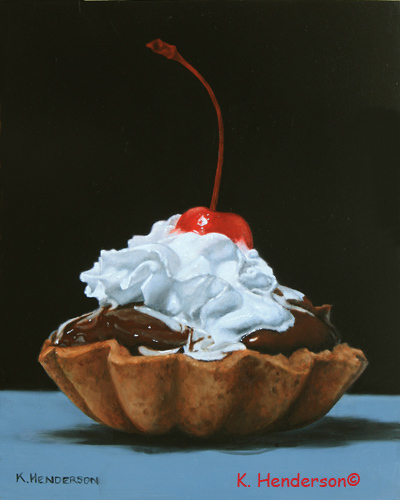 They call to me “Paint me. Paint me”. 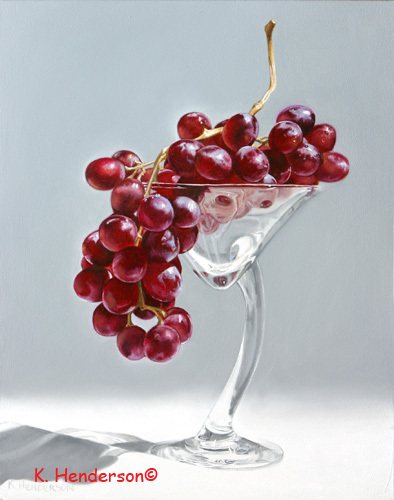 I’m so excited about this series of paintings. They make me smile while I’m painting. What more can I ask for? 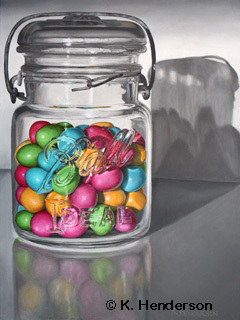 I LOVE painting the different textures and the way light bounces off the different objects.